We provide you with Peace of Mind when making the largest investment of your life! I Would Like A Free Home Inspection Quote! Finding a Home Inspector in Orlando can be overwhelming. Your home is undoubtedly your biggest investment. When choosing your home, you consider everything from the distance to your job, the quality of the schools, and of course, the yard and interior. Such an investment deserves to be inspected by a professional company who understands your needs and values your time. 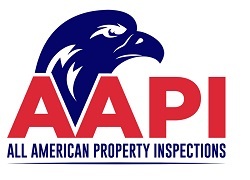 All American Property Inspection is a home inspection company based in Orlando, Florida. We offer home and commercial property inspection services in central Florida. Trusting us with your home inspection is an important step towards buying, selling, or building your home. We cherish each opportunity we have to work with homeowners and businesses. Get a FREE Quote to get an idea of what your quality home inspection might cost. Our home inspection business has been helping homeowners and real estate agents in the Orlando area since 2005. We offer comprehensive inspection reports that detail any issues that are found accompanied with hi-resolution photographs of the noted issues. You can download a sample written report here to compare with other area home inspectors. We offer home inspections for buyers and sellers, 4-point inspections, Wind Mitigation and Roof Inspections to our clients in Orlando, FL. When hiring a home inspector to inspect the biggest investment of your life, your home, you want to make sure it’s not an inspector that is just doing a job but one that truly cares about you as their client. Bill is licensed by the Florida Department of Business and Professional Regulation and has been certified by the National Association of Certified Home Inspectors for 12 years. Wind mitigation is an inspection that can save you hundreds of dollars a year on your homeowner’s insurance. Because we know Orlando can be a windy place, Wind Mitigation Inspections will provide certification to your insurance company that your home can withstand sustained winds. Bill is a certified Wind Mitigation inspector and he will look at important features of your home that can reduce the damage to your home if a hurricane or sustained winds occur. The 4 point inspection is the biggest insurance based inspection we perform for our clients. These building inspections are to help insurance companies to understand the current state of your Roof, Electrical, Plumbing, and HVAC systems so they can write your homeowner’s insurance policy. Homes that are older than 30 years are required to have this inspection by many insurance companies. All American Home Inspection can give you the peace of mind you need when buying a new home. New construction can be an overwhelming and scary experience. How can you be sure that your new home is delivering everything that was promised to you? Without knowing what to expect from your home services providers, like us, it can be an uncertain experience. All American Property Inspection takes all of the mystery out of the Home Inspection process. We go above and beyond to help to ensure that your home is ready for you to move in from top to bottom. While there are many companies that offer home inspection in Orlando, All American Property Inspection is honored that you are you considering us for your home inspection needs. Our commitment to you is that we will provide the highest quality inspections at a competitive price. Many of our clients need inspections to complete expensive real estate transactions, but without knowing what to expect from an inspector, you may be left with unsatisfactory outcomes. 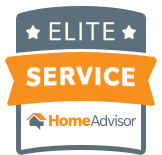 We want to bring our elevated standards to the Orlando Home Inspection Industry and give you the best experience, value, and reporting in the Central Florida area. When you trust All American Property Inspections to do your inspections, you can rest assured that you are getting the highest quality inspections for your money. Bill takes personal pride in continuing education and he holds multiple certifications to meet all requirements for Certified Master Inspectors. We have extensive experience working with over 300 Realtors, Investors, Mortgage companies and Insurance companies. Call us today to get your home inspection taken care of the right way! I highly recommend Bill. As a Realtor, I have seen many inspections and I can truly say that working with Bill has been a great experience for me and my buyers. Bill is very experienced and knowledgeable when conducting the home inspections. All my buyers have been satisfied and happy with how he explains any findings and is also able to recommend them with the solutions. Bill is definitely a Great Inspector! "...I would definitely recommend Bill to anyone needing an inspection done." I called about 10 different places to get a quote and a feel for different inspectors in the area and Bill was the only one that sounded genuine and with a passion for his customers. The day of the inspection he arrived earlier than the scheduled time and was already busy working; he was very diligent and explained everything in detail to a cubicle guy like me. Overall I would definitely recommend Bill to anyone needing an inspection done. He is the real deal! "The minute I spoke with him it was obvious from the start that he was an expert..."
I sought Bill out because during a home inspection my home buyers were told there was a major flaw in our roof. The minute I spoke with him it was obvious from the start that he was an expert and knew what he was talking about. He was able to come out very quickly for an inspection and the subsequent report was expedited. Turns out the buyer’s inspector was a hack and he recognized this immediately. I highly recommend him to anyone! Thanks, Bill! "I worked with Bill and he is straight forward, responsive and knows what he is doing." I worked with Bill and he is straight forward, responsive and knows what he is doing. He worked with me on a bundled quote for a wind mitigation and 4pt. inspection. Additionally, he went above and beyond and even recommend an insurance agent in Winter Park who gave me a great quote and Bill is the reason I was able to reduce my annual Homeowner’s premium. I highly recommend him! Thanks for everything Bill! 7 areas of your home you must maintain BEFORE they become major issues! Who is this Bill guy? Copyright 2019 All American Property Inspections Inc.